Renowned for it’s natural beauty, Tasmania was where Lou and Jesse would eventually return from an eight year hiatus in Adelaide to tie the knot with their closest friends and family. “A beautiful country barn had always been a dream, and when we stumbled across Brickendon, we both fell in love. The country setting was amazing, and the 190 year old barn could not have been more amazing”, says Lou. 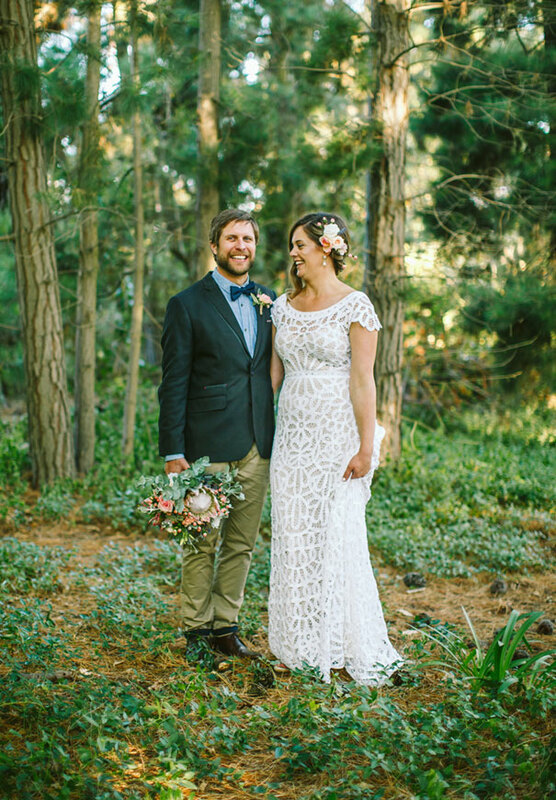 Choosing to wear a beautiful gown by Rue De Seine from The Bridal Atelier before changing into a timeless number by Rachel Gilbert, Lou says that almost every other vendor was found locally, including their incredible photographers Fred and Hannah and stylist Bek Burrows. P.S The Bridal Atelier is holding trunk shows in Sydney come July to showcase Rue De Seine’s latest collection, Nomadic Love. For more details click here or visit our Upcoming Events calendar on our homepage.